My daughter loves to do art projects and I love to do art projects with her so I’m always looking for ways to help her make art that can be easily displayed and add to the eclectic charm of our home. 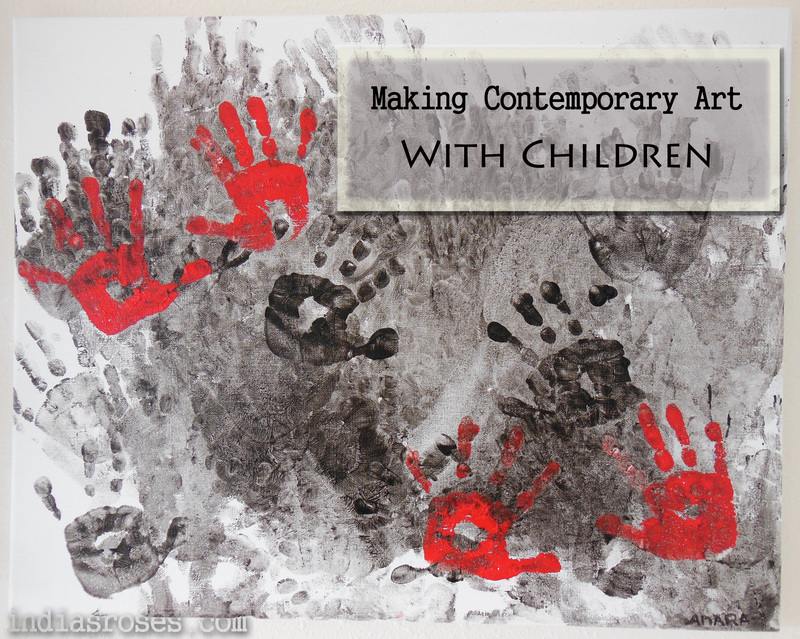 We’ve been doing a lot of painting lately and she just loves making hand prints, which is where I got the inspiration for this sophisticated, Contemporary Black, White and Red hand print painting and the best thing about it is it’s a wonderful project for all ages! *as soon as we finished this project I realized that I made a big parental mistake and used quality acrylic paint on my 2 year olds hands. 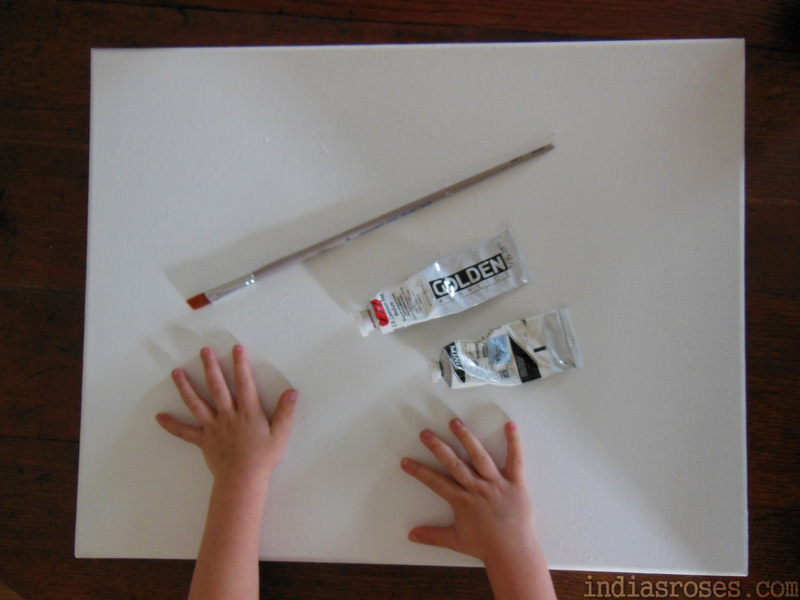 Acrylic paint is not a non toxic option and they will use just about anything to get the desired color, so after cleaning her up really well I would like to recommend that you use something non-toxic and child safe. 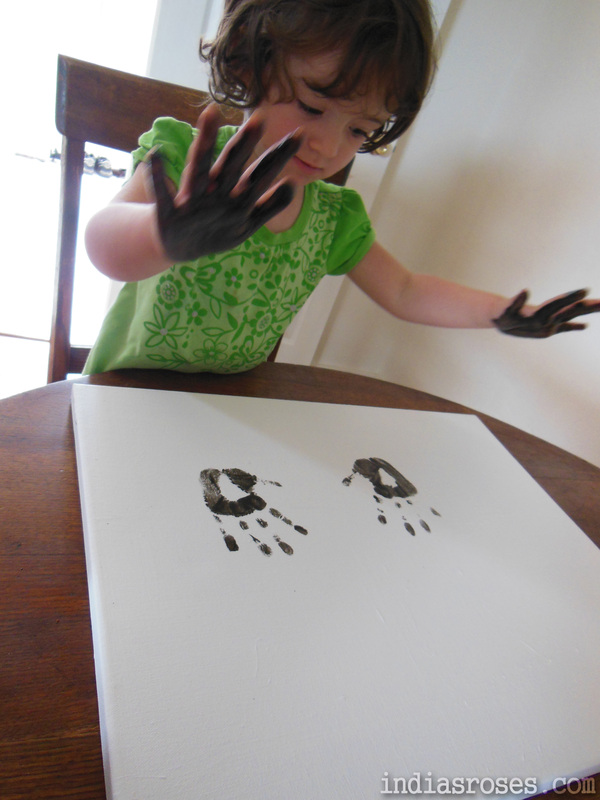 Start by painting your little ones hands with black paint, then let them make as many hand prints as they like on the canvas before painting their hands again. My daughter would make 4 or 5 prints per hand painting and was very excited to express herself with rough slapping hand motions which gave the picture movement and depth. 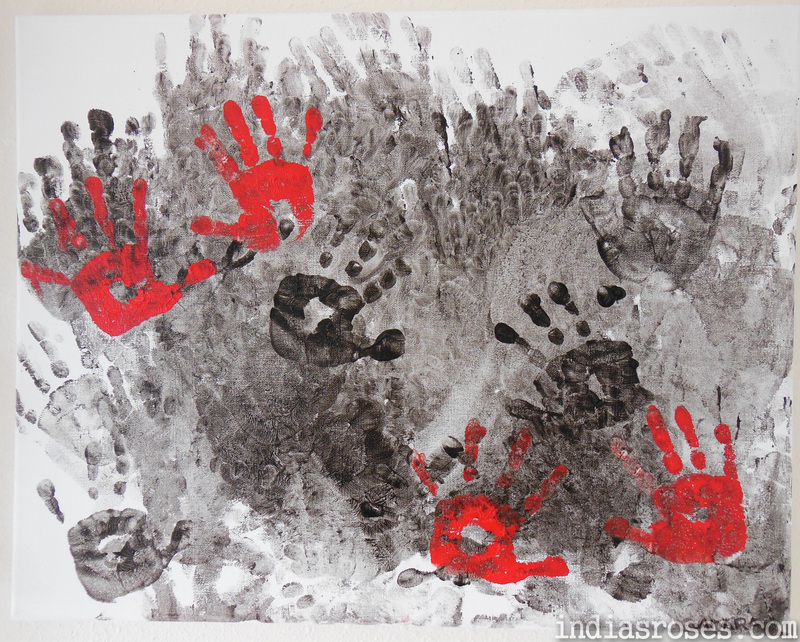 Once you’ve reached your desired amount of black hand prints you can then help make a few very purposeful ones that aren’t smudged if you like. 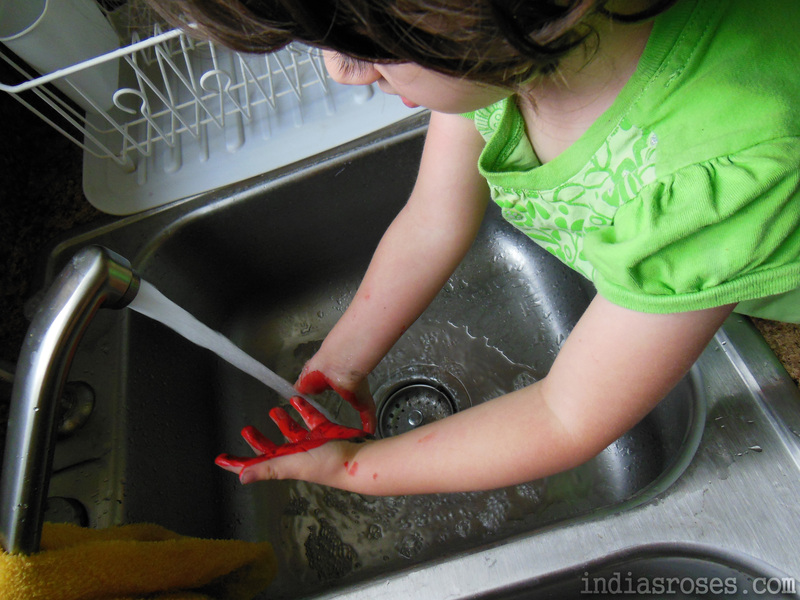 She went wild with the paint and I helped her add a few distinguishable prints before heading to the sink to wash her up. After everyone is all clean head back to the canvas to add a few red prints. Again I helped her be a little more controlled which she was happy with, but if you’re child doesn’t want help just let them go to town, after all it is their masterpiece. Once all the hand prints have been made be sure to wash everyone up really well and set their beautiful new painting(s) in a safe place to dry. Don’t forget to help them sign it and I always like to write the month and the year on the back of all my daughter’s art so that I can remember just how little she was when we made it. Once the paint is dry you’re ready for gifting or hanging! 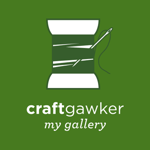 As always thank you for reading and please feel free to comment and/or ask questions. It was a lot if fun. I was thinking about having the kids do a compilation piece when the baby comes. I really like this, its a good reminder that not all “kid” art has to look like “kid” art. I love the final result too! Thank you! That was one of my favorite things about it! I like this. Its a good reminder that not all “kid” art has to look like “kid” art. The finished painting is awesome!